They say that good shots speak for themselves. 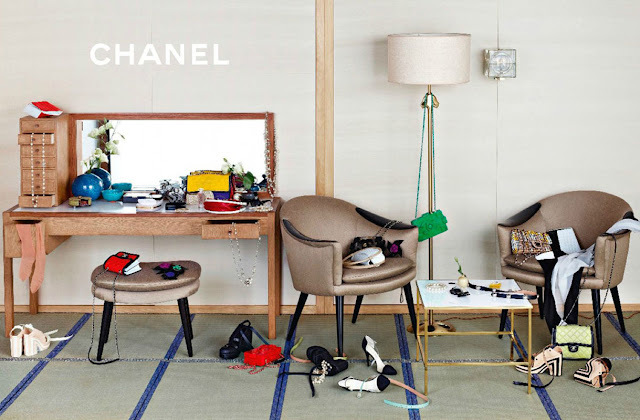 So, without any further overdue let me share with you these astonishing print campaigns from Chanel: Ready-To-Wear S/S 2013 and Cruise 2013. TESSful work! Now, let the pictures do the talking. The new seasonal campaign celebrates a comeback of 42 years old British supermodel Stella Tennant to the brand, that initially made her successful. Together with fashion newcomers - 16 year old models Yumi Lambert (Belgian model) and Ondria Hardin (American model), the trio brought to life an amazing series of eccentric images. 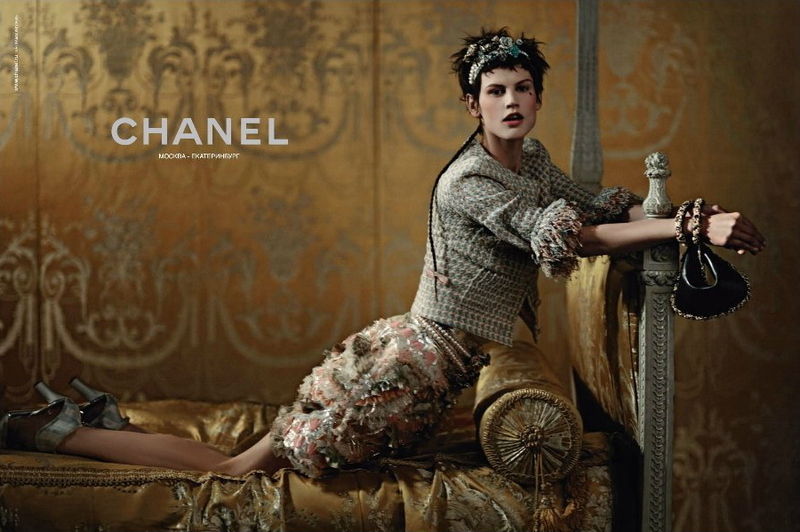 Modeling powerhouse of Cara Delevingne (British fashion model) and Saskia de Brauw (Dutch artist and model) rocked Chanel Cruise 2013 campaign, posing for the camera of Mr. Lagerfeld himself. The Resort collection was inspired by Marie Antoniette, what made the grand Palace of Versailles an ideal place for a shooting. I love the Chanel Cruise ad campaign, it's so pretty. Thanks a lot, Forever Miss Vanity! Welcome to the world full of Taste, Elegance, Sophistication and Style! where do you get your images from? I am starting a new blog but i don't want to get into any problems for using ad campaign images without permission Is there a website that I can go to, to get them? Hey Girl! Thanks for seeking for my advice, yet it is hard to answer. Photos will obviously depend on your topic, so there is no single site as such.